Referring to the 2015 quota stir, Hardik said he would not forget the sacrifice made by the Patidar "martyrs" for the sake of just three-four tickets. 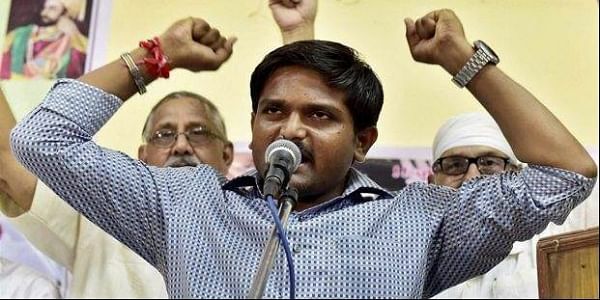 AHMEDABAD: Amid the ongoing tension between the Patidar Anamat Andolan Samiti (PAAS) and the Congress over the allocation of tickets for the Gujarat polls, Patel quota stir spearhead Hardik Patel today claimed his outfit never demanded any seats and said "the BJP and the Congress are the same". "Just use your wisdom while giving your vote and choose the one who assures you justice," Hardik told a huge gathering at Transad village in Dholka taluka. His remarks days after the Congress initially allotted two seats to PAAS members -- Amit Thummar and Lalit Vasoya as against 20 seats demanded by the outfit. Soon after the first list was released on Sunday night, agitated PAAS members started a protest in many parts of the state. In Surat, several PAAS members ransacked the Congress city unit's office and indulged in sloganeering against the party. "You must have seen on television how some people went on a rampage (on Sunday night when Congress issued its first list). I want to make it clear that I neither sought any ticket in the past nor I will seek in the future. We will not forget the martyrdom of our youths for the sake of three-four tickets," Hardik said evoking cheers from the crowd. This is for the first time in the last two days that Hardik made any comments about the ongoing tussle between PAAS and the Congress over the allocation of tickets. Asking people not to believe everything which comes on television, he said the time has come to "decimate" the ruling BJP.